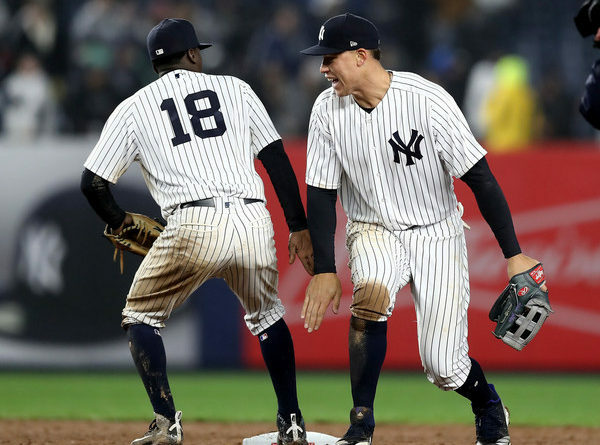 The New York Yankees, also known as baseball’s “Evil Empire”, is back. This time, the Baltimore Orioles will take on the Yankees, in a series that may seem reminiscent of years past. The Orioles began the season with an Opening Day win against the Minnesota Twins, the eighth in a row by manager Buck Showalter. However, Baltimore has struggled mightily since then, losing five consecutive games. In those losses against the Twins and the Houston Astros, Baltimore has been outscored 11-32. Both Baltimore’s pitching and hitting have been poor. The club currently holds an ERA of 5.43 and a WHIP of 1.43. Their issues with pitching seem to be a holdover from last season, with Dylan Bundy being the only starter holding an ERA below five (0.69). 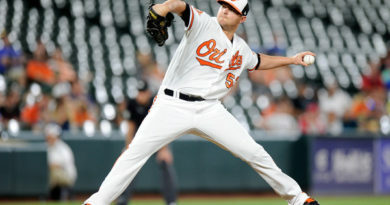 As Zach Britton recovers from his torn Achilles tendon suffered during the offseason, Baltimore has looked towards Brad Brach as their full-time closer. In 2.2 innings pitched, Brach currently holds a 6.75 ERA. 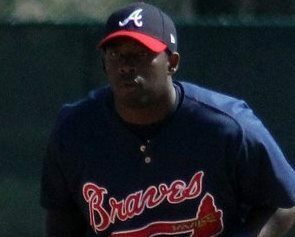 Setup man Mychal Givens has also struggled, pitching to a 5.40 ERA in 3.1 innings. 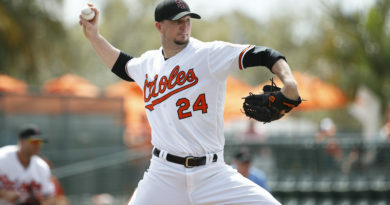 Darren O’Day has been the bright spot of the bullpen so far, holding batters without a run in 2.0 innings. The Orioles have hit as a club below the Mendoza Line, slashing .185/.265/.315 and striking out 62 times in the early season. The club attempted using Chris Davis as the leadoff hitter for the first five games of the season. That didn’t work. However, he isn’t the only player that has struggled in Baltimore’s lineup. Baltimore only has three starters batting over .200, with second baseman Jonathan Schoop batting .308, shortstop Manny Machado batting .261 and center fielder Adam Jones batting .250. Though rookie catcher Chance Sisco isn’t a starter, he has shown to be able to wield a solid bat, slashing .333/.400/.444 and driving in a run in nine at-bats. Third baseman Tim Beckham is batting .174, catcher Caleb Joseph is hitting at a .167 clip and left fielder Trey Mancini has batted .150. Outfielders Craig Gentry (.167), Anthony Santander (.091) and Colby Rasmus (.071) have all struggled. As a team, the Orioles are currently tied with the Rays with the worst record in the MLB (1-5). It is just the beginning of the season and they haven’t had any favors by playing two playoff-caliber clubs in a row. However, it won’t get easier against the Yankees, who are considered a favorite to win the World Series by a number of outlets, including some writers from this site. On the other side, the Yankees have begun the season at 4-2. New York straight against the Toronto Blue Jays, then lost two and a row against Toronto. Then the Yankees home opener against the Tampa Bay Rays was postponed on April 2, and pushed to the next day. New York would sweep the two-game series against the Rays. During the offseason, the Yankees acquired outfielder Giancarlo Stanton from the Miami Marlins to pair with AL Rookie of the Year outfielder Aaron Judge. Stanton has batted .217/.333/.696, with six RBI and three home runs. Stanton was booed on Tuesday after striking out five times, but he would bounce back with a two home run game on Wednesday’s 7-2 win against the Rays. “We talk about being accountable all the time, and one thing I’ve seen from Giancarlo through spring training and now the first days of the season is he’s acclimated so well to this team, to our clubhouse,” Yankees manager Aaron Boone said, via ESPN’s Corey Harvey. “When he, in a sense, chose to come here, he was at a point in his career where it was about winning. Shortstop Didi Gregorius is getting off to a hot start, slashing .364/.440/.909, with two home runs and nine RBI in six games. Catcher Gary Sanchez has been surprisingly cold (slashing .087/.087/.261). As for New York’s pitching staff, the team has combined for a 3.46 ERA in the first six games. Every single starter has an ERA under 2.50, with Luis Severino topping off at a 1.38 ERA. Luckily, for Baltimore, they won’t have to face him. The key to putting runs up on the Yankees is in their bullpen. Setup men Dellin Betances (9.00) and David Robertson (12.00) have earned run averages nine or higher. The series begins at 6:35 PM on Tuesday in the Bronx.